Waking up in a beach, having no memory of how you got there, and after you saved (or not) an Eevee from Team Rocket, you set out on a journey, wandering through the lands of the Crest region, to figure out how you ended up on Starlight Beach and how you can get back home. 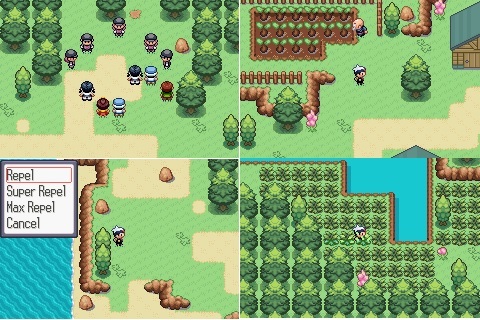 Along the way, you meet human and Pokémon friends and foes, and their simple ways of life. Too simple, in fact, that they may or may not be able to help you. 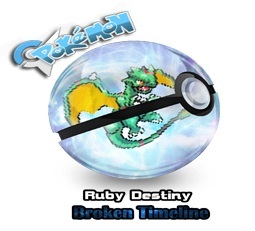 – Pokémon’s movesets are now updated. – A few Pokémon from the 4th, 5th and 6th generations. – Talk to trainers if you want to battle them. – Trainers reward you with less prize money. – New Attacks, without replacing old ones.